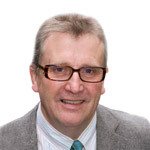 I’m Clive Barwell and I’m one of the most experienced and qualified specialists currently working in later life financial planning. After a long career with Lloyds Bank, I became an independent financial adviser in 1995, subsequently setting up my own independent financial advice business, Paramount Group, with six other Colleagues in January 2005. In 2008, Paramount Group was acquired by the predecessor to Wren Sterling, a national independent financial advice business. In 2011 I resigned as a Director to become a salaried adviser and Head of Later Life Advice in the same business, which is my current role. My earliest experience of providing financial advice was to the widow of a customer of the Bank. Particularly in the 1970s, it was not unusual to find a widow who had never written a cheque or paid a household bill, so the ability to explain financial matters in an easy to understand way was essential. Throughout my career I have tended to deal with clients in the at-retirement and post-retirement market, as they are generally the ones who benefit the most from my key skills. Having worked in places as far apart as Southampton and Newcastle upon Tyne, I’ve been based in Leeds since 1988. My wife, Patsy, and I enjoy being grandparents to 5 boys and consequently, have first-hand experience of the joys and tribulations of advancing years. As for my own retirement? Well, my Father retired from his second career with the Citizens Advice Bureau at the age of 85, through ill-health rather than desire, and I’m planning on having an equally long career! I also have a current DBS certificate for working with adults and children. To ask Clive a question, please email him at info@clivebarwell.co.uk. 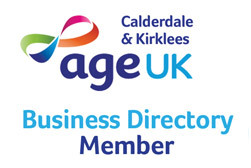 Alternatively, you can follow Clive on Twitter, connect with Clive on LinkedIn or see Clive’s profile on Google+.